In just three years and two battles against the 'king of kings' Darius III, the young monarch of Macedonia brought the great Persia to its knees. Alexander the Great, with the help of the mighty Macedonian war machine – phalanx, heavy cavalry – overcame the Persian army at Issus (-333), opening the doors of Phenicia, Syria and Egypt. 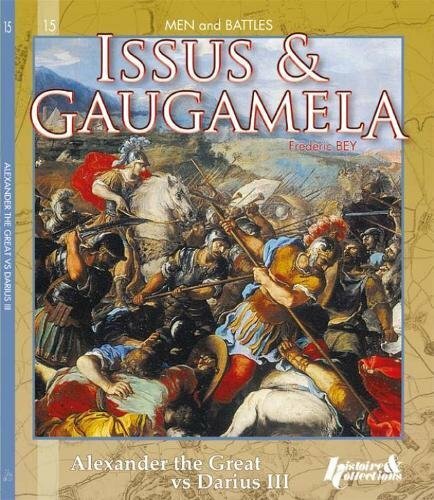 At Gaugamela (-331), the two rivals and their soldiers fight again a decisive battle which see the death of Darius and the accession of Alexander as the new ruler of the ancient East. From a military point of view, the victories of Alexander show both a tactical genius and a personal involvement - sometimes risking his own life - from the young leader in the heart of battle. The technique of Alexander was to form the model of some of the great generals in history, from Ceasar to Napoleon.